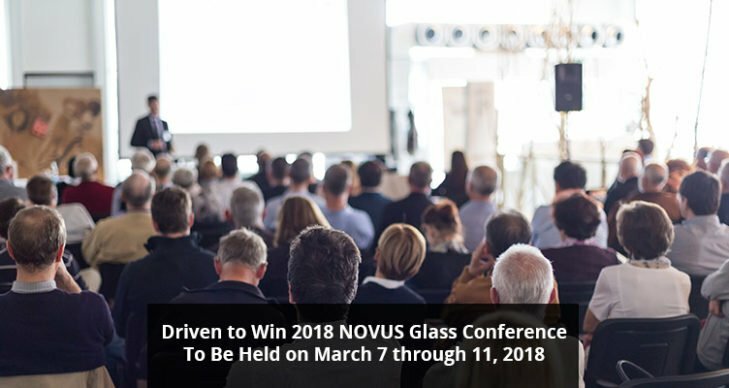 St. Paul, MN – NOVUS Glass is now taking reservations for the Driven to Win 2018 NOVUS Glass Conference, March 7 through 11, 2018, at The Westin Lake Las Vegas Resort and Spa. The biennial franchisee convention is held to give NOVUS franchisees opportunities for additional training, networking and workshops aimed at increasing business success. The 2018 Conference will feature a welcome by Ted Anderson, NOVUS VP of Operations, and a Driven to Win presentation by Steve Leal, CEO and President, Fix Auto World. Carl Brabander, VP of Marketing, Fix Auto World, will discuss Brand Innovation. Both Steve and Carl are passionate about supporting the NOVUS family-owned franchisee businesses and making NOVUS Glass the world’s top consumer brand in auto glass repair and replacement. Special guest speaker Bruce Kirkby will talk about Change Leadership. Bruce,an author and adventure photographer, will share the lessons learned and perspectives gained while documenting and traveling the world.Day two covers topics like best practices, digital marketing and an insurance industry panel, while day three offers repair technician certification testing, advance windshield replacement training, long crack windshield repair training and AGSC Certified Technician testing. One of the highlights of the conference will be an awards reception, dinner and slide show, where the NOVUS Franchisee of the Year and Rookie of the Year will be honored. A preferred vendor fair will allow franchisees to meet and greet those supporting their businesses. Dinners, workshops and special events will enable franchisees to make those important networking connections and opportunities to learn from the best. The lovely Westin Lake Las Vegas Resort and Spa in Henderson, Nevada, is located 20-minutes fromthe Las Vegas strip and features a spa and private lagoon. Riatta Beach offers sports like water biking, kayaking, and stand-up paddleboarding, with a bonfire and s’mores after dark. The resort has three restaurants, a lounge and a grab-and-go café. The Reflections Bay Golf Club, designed by Jack Nicklaus, is located next to the resort. NOVUS invented windshield repair in 1972. For over 40 years, NOVUS has been and remains the industry’s research & development pioneer. NOVUS has been awarded more U.S. Patents for windshield repair than the rest of the windshield repair industry combined. For more information visit us at www.novusglass.com or 1-800-77-NOVUS (800-776-6887) for a NOVUS location near you. For franchise development information, contact 800-944-6811.